Allen F. Rubin delivers his acceptance speech on receiving the JGH’s Distinguished Service Award. Allen F. Rubin, who was instrumental in providing stability and continuity to the JGH during the reorganization of the healthcare system in 2015, has received the hospital’s greatest honour, the Distinguished Service Award. 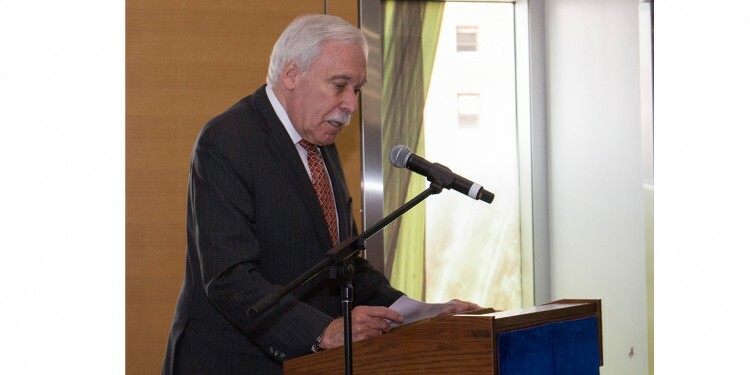 Mr. Rubin’s term was unique, since he served not only as the final President of the JGH Board of Directors from 2014 to 2015, but as the inaugural President of the JGH Board of Governors from 2015 to 2016. As a result of changes to the healthcare system in 2015, boards of directors in all of the Quebec’s healthcare institutions were dissolved. Since then, however, certain institutions have established boards of governors—in the case of the JGH, to oversee long-range planning of the hospital’s physical development, to work closely with the Foundation, and to protect and preserve the hospital’s unique character, legacy, values and standard of medical excellence. Dr. Lawrence Rosenberg, President and CEO of CIUSSS West-Central Montreal, described Mr. Rubin’s two-part term as “integral to the leadership of the Jewish General Hospital, as it made its transition into our current healthcare network. “To say that Allen helped steer our hospital through a challenging and uncertain period is an understatement. 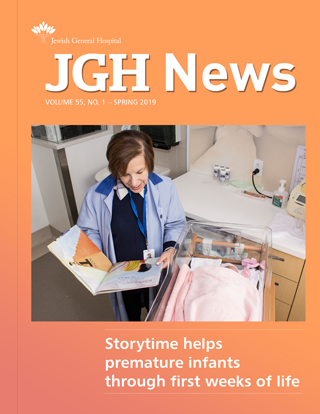 The JGH was embarking on an unprecedented chapter in its history, and for this reason, Allen worked tirelessly to ensure that the hospital would continue to be able to honour its legacy by retaining its unique character, its distinctive cultural identity and its mission.